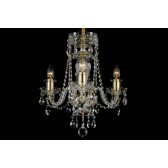 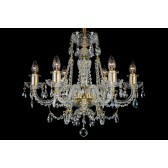 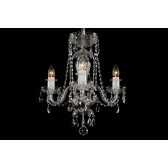 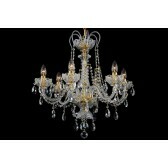 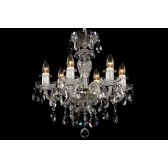 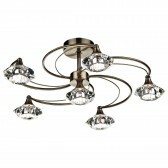 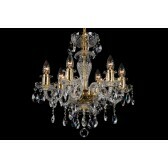 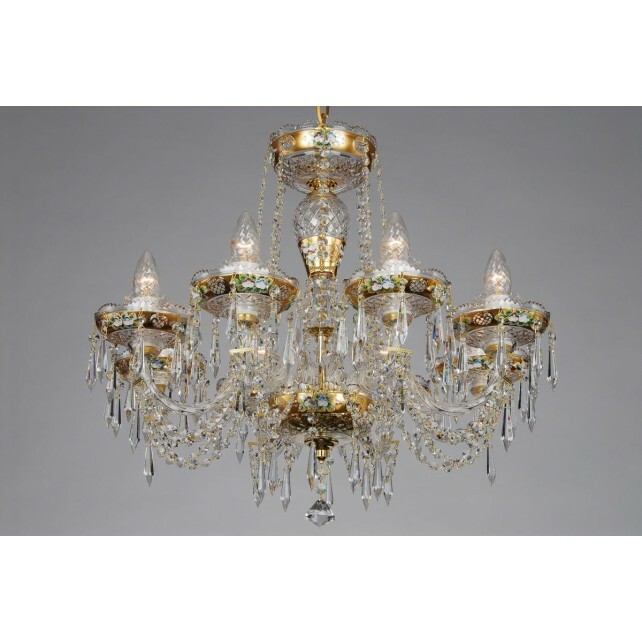 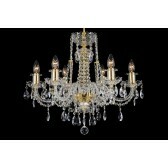 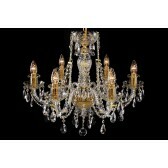 The smallest crystal chandelier with eight light bulbs and golden components is made of hand cut leaded crystal and decorated with a flower motif. 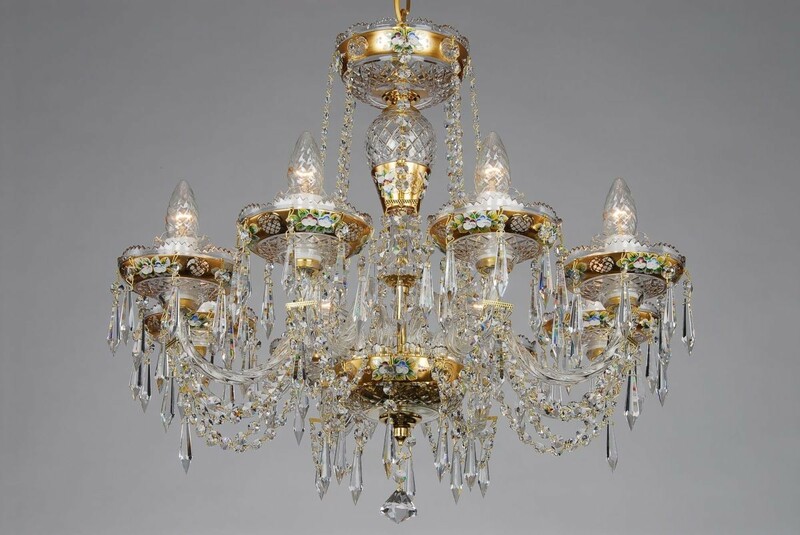 Thanks to the hand painted motifs and golden colour the chandelier can be hung in older well-preserved or renovated interiors such as stylish bars, hotels, etc. 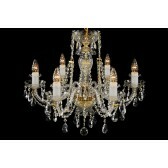 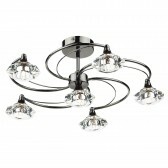 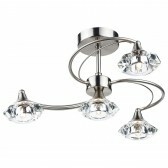 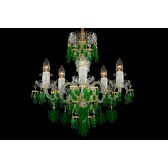 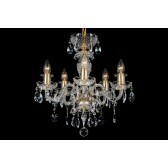 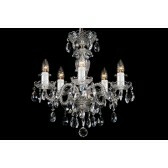 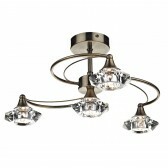 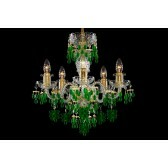 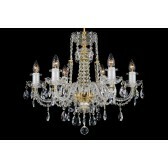 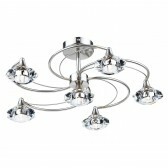 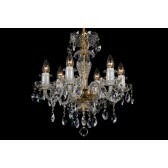 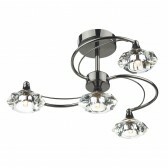 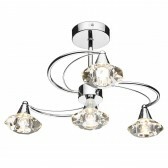 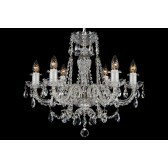 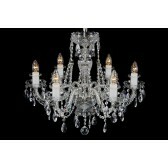 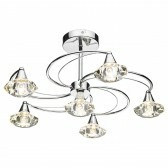 The chandelier can be combined with larger eighteen-arm or twelve-arm chandeliers of the same colour or complemented by a two-arm wall light.